If your future includes a move, check out the Lakewood movers from Meathead Movers! Our professionally-trained student-athlete movers, moving concierge, and Princess Packers are prepared to get you safely moved into your new home. Whether you’re moving to or leaving this vibrant suburb of Los Angeles, the Lakewood movers from Meathead Movers can make the process simple and stress-free. Lakewood is a city filled with friendly neighbors and great fun. If you’re moving to Lakewood, you’re in for a pleasant surprise. Anyone who is moving from this welcoming community is sure to miss the neighborly atmosphere, great parks, and family-friendly events. This pleasant L.A. suburb is an archetypal post-war community filled with cozy mid-century homes. Although it is roughly 60 years old, it already has some rich traditions. The clubhouse at the Lakewood Golf Course is the city’s oldest building, and the city’s namesake water body is the course’s featured water hazard. Lakewood is located a short distance from Los Angeles and Long Beach. Families and residents can visit the Aquarium of the Pacific, the Long Beach Museum of Art, the Long Beach downtown area, and the city’s beautiful waterfront. Within the city, there is plenty to see and do as well. For those who enjoy outdoor recreation, the city operates two public pools and six wading pools. There are also over a dozen bike trails and fitness routes throughout the city. In fact, it is so well-known for its outstanding playgrounds, parks, and recreational areas, the city often wins the Playful City award. If your family is ready to move to Lakewood for its family sports games, extracurricular courses, and great recreational areas, our Lakewood movers can make the transition fast and easy. Meathead Movers specializes in long-distance, local and commercial moving services throughout California. We also provide reliable packing, storage, on-site relocations, and our distinctive moving concierge service, which connects you to trusted service providers in your new area. There are many moving companies in the area, but none of them can beat Meathead Movers. We are the only company that hires and trains student-athletes to become professional movers. Every team member jogs back to the house from the truck after the items have been securely put in place. This is a saves you valuable time and ensures that your move is smooth and efficient. 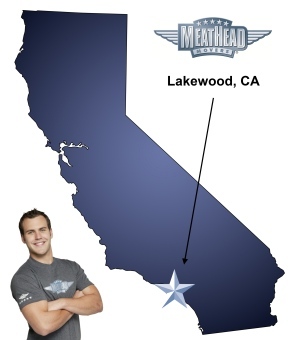 If you’re moving to Lakewood, call our Los Angeles County offices directly to request a free quote from our Lakewood movers and learn about the Meathead Difference. With our 100% satisfaction guarantee you have nothing to lose! Moving to Lakewood? Here are some helpful resources. Best guys in the world! Great phone Customer Service by Jake! I am incredibly impressed with the efficent, responsible, respectable, fast, hard working young men Mark Rivera & Adrian Sapien have demonstrated in their moving services representing Meathead Movers! Items were missing after my move. I subsequently contacted the company and was told it was a case of “he said, she said” and they offered no positive solution. I asked about insurance coverage for lost items and was told someone would get back to me. No one has reached out or offered any assistance. My move was 12-22-17. I contacted them on 12-26-17. I spoke to a person named Fernando at 866-843-6328 who stated someone named Jeremy would get back to me. I’m still waiting. Movers are very good. Very fast. Very efficient. Everything was protected well. We have already recommended Meathead to a relative. Prompt, courteous staff. Very professional. Could not be more pleased!